This piece was designed for those who love to create! 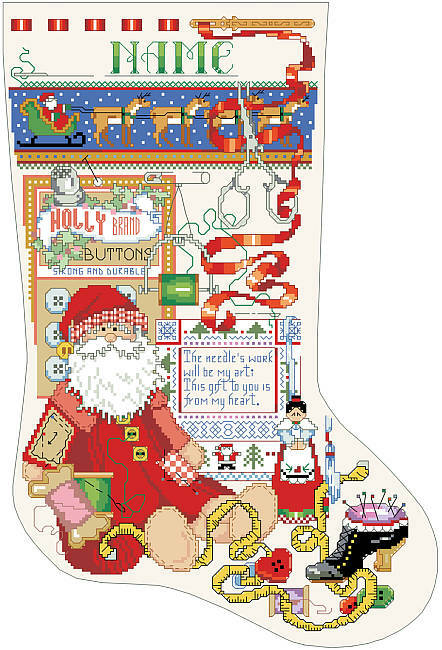 This stocking has everything needed for craft-minded creatives to unleash their artistic talents. Make one for yourself or give it to the artist in your life! Contents: Stitch Count 141w X 217h. Finished size on 14 ct 10" X 15-1/2"